When I was in tenth grade, I nursed a massive crush on a senior named Robbie (a soccer player with blond curls and great legs). 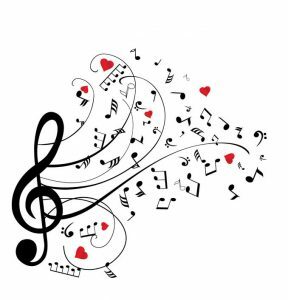 We ran in the same circles, but it was basically a one-sided “affair”–me with my heart on my sleeve, him always kind, but not really “into” me. Before he left for college, I wrote him a love song (of the unrequited type). It wasn’t very good, but I didn’t know it at the time, so I had a friend give it to him the day before he left for his freshman year of college. Just thinking about that bold move can still make me blush! And for those of you who’ve read Worth the Wait, you might recognize the similarity between this and Vivi’s note to David. 🙂 Yes, we writers do sometimes pull from our own experience when crafting a story. Robbie was at the party, as I knew he would be. When I showed up, he pulled me aside, whipped out his wallet, and retrieved my song (which he’d tucked away in there). He told me it was the nicest thing anyone had ever given him. It didn’t make him fall madly in love with me (LOL), but I pretty much floated around the party that night, knowing that my gesture meant enough that he’d kept it in his wallet. Anyway, because of that Thanksgiving surprise, I continued to be that brave about my feelings for a few more years, making grand gestures from Pittsburgh to New Orleans. Sadly, not all boys were as kind as Robbie, and gradually the walls went up around my heart. I can’t honestly say that I’ve ever been quite as bold with my feelings as I once was, but it makes me wonder if any of us can ever be truly brave about love after getting badly burned. 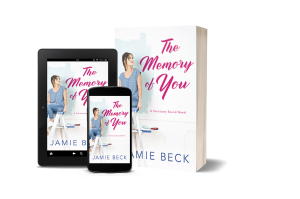 My newest book, The Memory Of You, involves three reunited high school friends who need to mend a rift, and a pair of ex-sweethearts who aren’t quite done with each other despite their broken hearts. It’s been fun to explore the push-pull of how much we change from our teens to adulthood versus how much remains the same. In any case, this holiday I’m very grateful for all my blessings, including all of you who give me this career I love!